Natalie Hall is an experienced Melbourne Sleep School Early Childhood Professional, Baby Sleep Consultant and Toddler and Preschooler Behavioural Specialist. 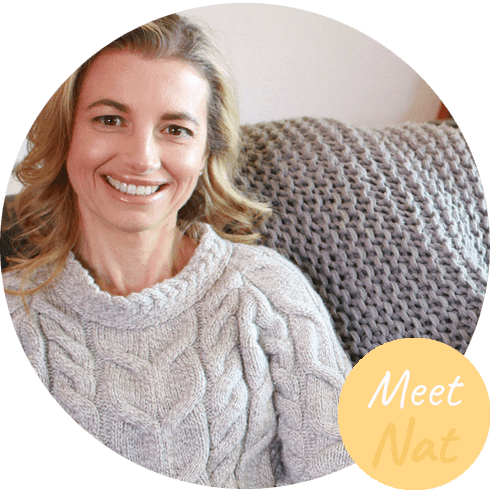 Nat is a trained Circle Of Security Facilitator with 13 years Sleep School experience and a mum of three. Her programs are grounded by what all parents want, loving relationships, settled children and a good night sleep. During Natalie Hall’s 13 years at a Melbourne Sleep School, she helped hundreds of in-home, day stay and residential parents implement gentle baby sleep settling strategies. Having raised three children and as an Early Childhood Professional and early parenting educator, Nat has a way with toddlers. Her warm and authentic communication style means families trust her and she delivers excellent results. Natalie’s Circle of Security training and ages and stages tools help parents to find calm approaches to stressful developmental behavioural and eating phases for toddlers and pre-schoolers. Natalie Hall is an experienced sleep consultant and educator with extensive Sleep School experience and Circle of Security, Mothercraft Nursing and Early Parenting qualifications. Parenting is the most important job we’ll do but it’s also one of the most stressful. In order to be really present for babies and toddlers, parents need to first look after themselves. As a sleep consultant and educator with over 13 years Sleep School experience, Natalie Hall is able to tailor packages to suit each baby, toddler, pre-schooler and their exhausted mums and dads. We are sleep consultants based in Melbourne who support young families with babies, toddlers and children up to six years of age. We support young families with a range of concerns and uncertainties they may be experiencing with their parenting journey. How do I develop a feed play sleep pattern with my baby? Baby settling techniques that I can sustain? Wrapping my baby when do I cease this? How do I wean my baby off the breast? Breast feeding or bottle feeding difficulties! When is there the right time to introduce solids? Has my baby eaten enough? Is co-sleeping safe? How do I get my baby to sleep other ways? What support services are there in our community for postnatal support?Do I contact my maternal health nurse or GP? I don’t like my mothers group what other support groups can I attend? Sleep schools have long waiting list, don’t they? These are all relevant questions that young families are experiencing. You are not alone Sleep My Little Bub can support you. Nat has helped hundreds of families restore confidence and get a better night sleep during her 15 years as a baby and toddler sleep specialist. Mia no longer requires bottles over night and only has her dummy in her cot. Now she has more of an appetite and is happy and content during her play. An in depth phone call with Natalie, at first, put me at ease, and I was comforted in the knowledge I was not alone, and that Natalie could help me teach my daughter to sleep through the night, within a week. Our 48 hour stay package is ideal for interstate or regional families needing a combination of nurture, respite, support and guidance. Our phone consultation service is best suited for our clients who live in rural areas, interstate, or abroad. It includes follow up text messages or emails.